Our homely Condo Rio Cuale # 207, located in the Las Canoas in the Old Vallarta, includes 1 bedroom, full kitchen, more..
Villas Pacifico is a suitable 2 bedrooms condo located in an exclusive Residential Area, between Mayan Palace and Melia more.. This beautiful home is located in the heart of Marina Vallarta, with a capacity for 8 people comfortably. Across the more.. 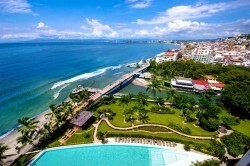 Located in Nuevo Vallarta, about 15 minutes from the International Airport Lic. Gustavo Diaz Ordaz in Puerto more.. Experience the tradition of Old Mexico while enjoying all the amenities of luxury living in this luxurious and very more..